جزاك الله خيرا for this. Nice summary/review. Do you know if this lecture was recorded and be available on youtube? Also, the point about the Sikhs in Cali, was this mentioned in his book? I remember watching a PBS special a long time ago and it mentioned something to this effect. It was crazy b/c there were black and white photos….OLD photos of a straight Sikh dude and a latina women + kids family portrait. Wa iyyakum, thanks for reading and commenting. 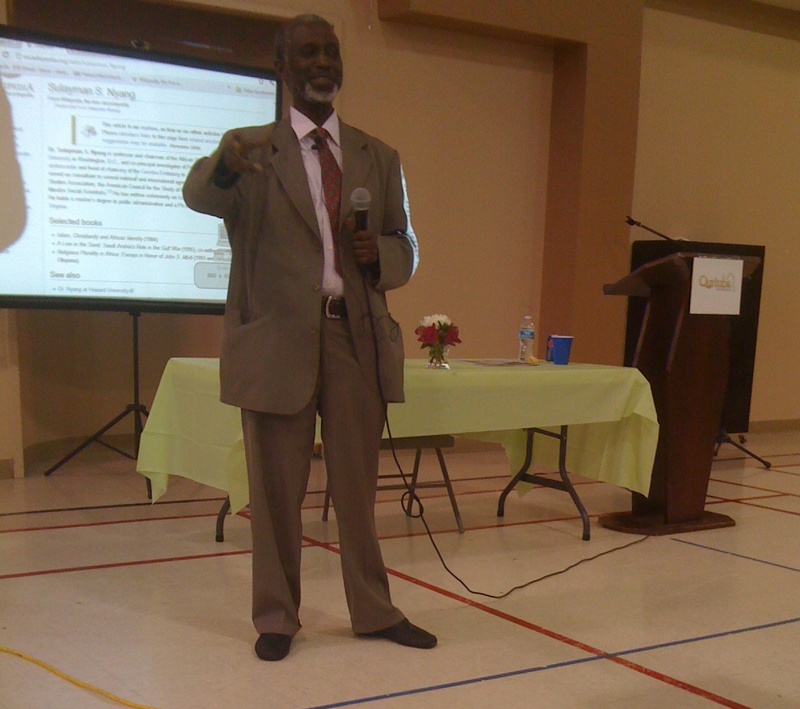 Yes, the lecture was recorded, part of Qurtuba’s programs at the ADAMS Center. They have a website: http://www.qurtubainstitute.org/ Not sure if they will put the video up, Shad is probably the one to ask. I don’t recall the story of South Asians marrying Mexicans in California in his book Islam in the United States, as I read it many years ago, but I could look it up, it’s still on my bookshelf. Dr. Nyang did recommend the 2-volume work American Immigrant Cultures: Builders of a Nation, which details the history and migration of many ethnic groups including information about the Punjabi-Mexicans. Wa salaam alaykum Kweli, another sister was mentioning yesterday via facebook how she was thinking of starting a book club, the more the merrier, insha’Allah. You have demonstrated what it means to be a student. You went to that lecture and in a fantastic way you now share your findings with us. Keep the spirit and be rest assured that we will all be looking for writers like you. Tell us all you know about this scholar so that we can rely on your reports. I am impressed by your posting on my lecture at Adams. I look forward to seeing you again. Keep the faith and good luck. 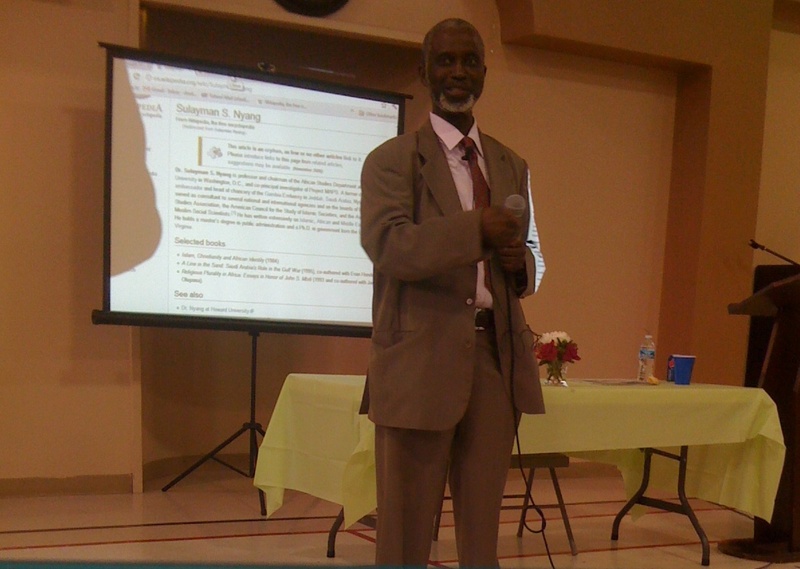 Professor Sulayman S. Nyang, Ph.D. Thank you for stopping by my blog, your kind words, and for the inspiration. I really benefitted from your presentation on the history of Muslims in America and one of the many lessons that has stayed with me is to leave our footprints and our traces here and now on the institutions and places that we as American Muslims live, work, and interact with on daily basis. Working on building a legacy and conducting my own research. My Allah guide you for your informative blog. 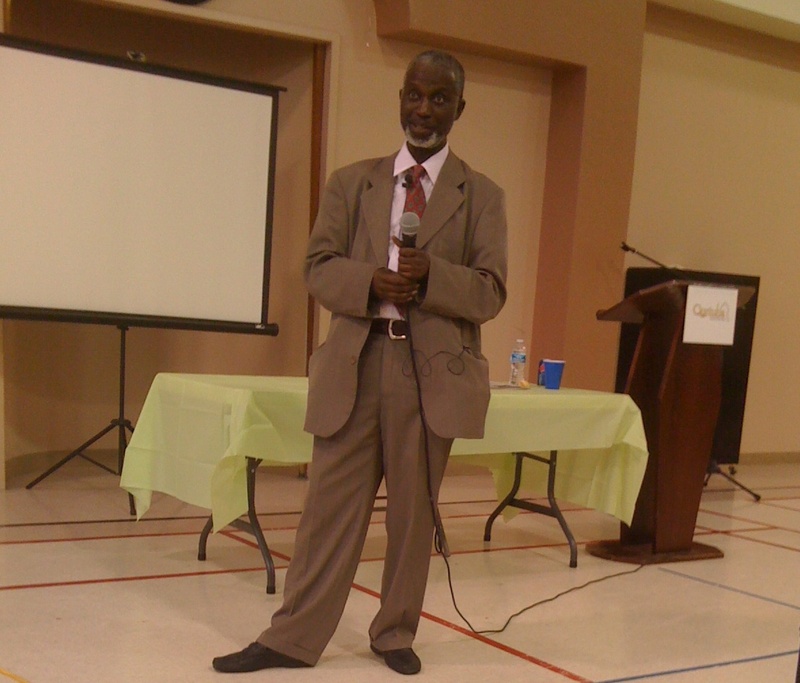 I have had the pleasure and honor of hearing Dr. Nyang on several occasions give an excellent historic account of the history of Islam in America. Not only was it very informative but he did it without once looking at his notes. Al Hamdu Lilah. Also I was curious when you said that your father was a professor I was wondering if perhaps it might be the same Dr. Felix Okoye that is a professor at Brockport University, in Brockport, New York? If it is the same person I had him as a professor in 1974 and he was an amazing teacher. Occasionally I still see him at the Public Market in Rochester, New York. He always has a smile on his face. Wa alaykum salaam Yahya! Delighted to hear from you and yes that Dr. Okoye is my dad. It’s such a small world, no? Thank you for reading and commenting and yes my dad can usually be found at the Public Market every Saturday morning. Funny, Ify, that I was searching for more info on Dr Suleyman Nyang (I have been enjoying his lectures on youtube), and one link brought me back here. I suspected he was Gambian, and not Senegalese, as I first thought, based on the spelling on his name, and wanted to confirm it. Forgot how great of a blog you have here. good one ify. i congratulate you on this marvelous gesture on a man internationally distinguished and of african origin. i am aspiring to be like him. cheers. Previous Previous post: Do You Know What Sincerity Feels Like?